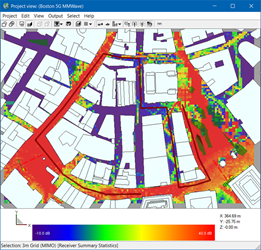 Wireless InSite's high-fidelity MIMO calculations predict system throughput and bit error rate. 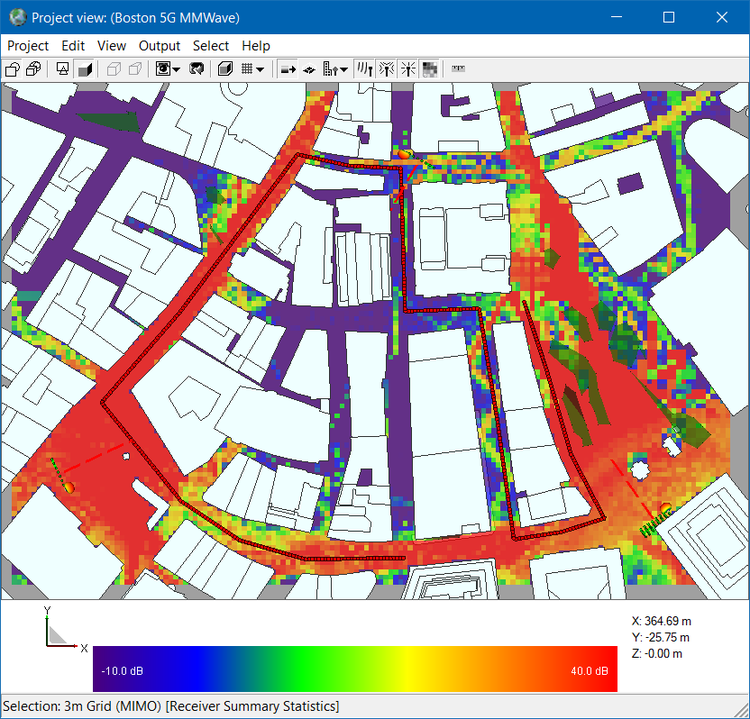 This example demonstrates throughput analysis between three small-cell base stations employing FD-MIMO beamforming to User Equipment (UE) moving along a route, using 5G New Radio in a dense urban environment. Download the full paper for more information.